Magic! Pinterest wins again. T and I have a cheap composite wood table that we have been using for a few years now. At one point I thought it would be cute to display a plant in a terra cotta pot on that table. Little did I know that terra cotta pots absorb water and unfortunately, all of that water ended up transferring to our table leaving a terrible stain. 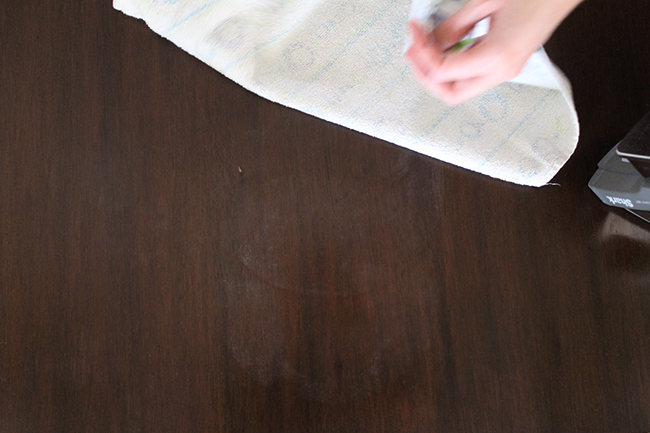 Nothing to worry about because I used this clever cleaning trick to remove water stains from wood. For a long time I thought that I had to start collecting table runners to hide this giant stain until we could afford a new table. I tried using a variety of wood treatments (oil and vinegar, various store-bought wood cleaners, even toothpaste!). 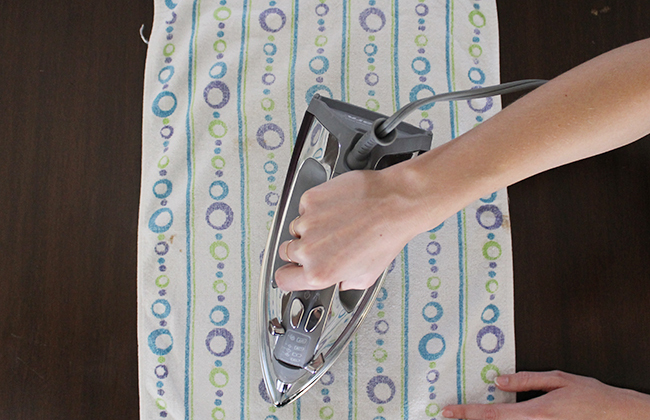 Then I came across a post from Happy House and Home describing a water stain removal technique using a soft rag and a hot iron. 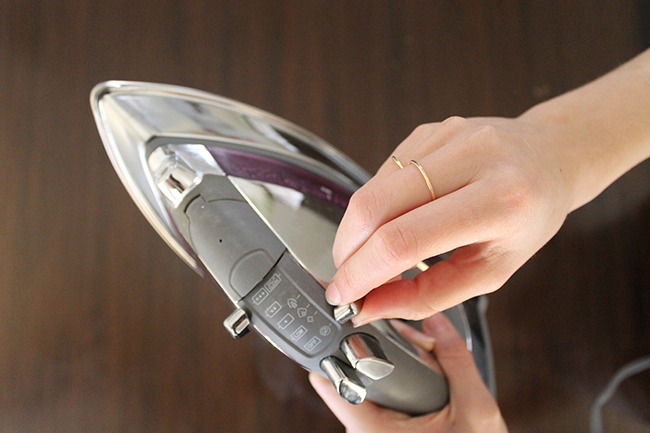 I set my iron to the cotton heat setting and turned off the steam/spray option. I laid a soft, thin, cotton towel over the stain. Then I pressed the iron over the towel focusing on the stained area. 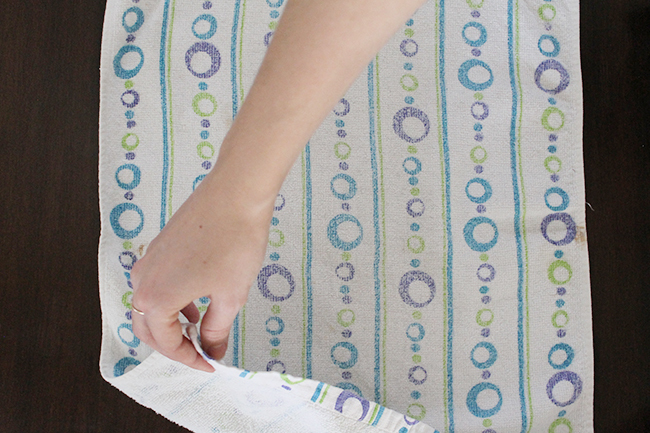 I moved the iron over the towel for a few seconds, let the towel cool, then lifted the towel to check on the progress. 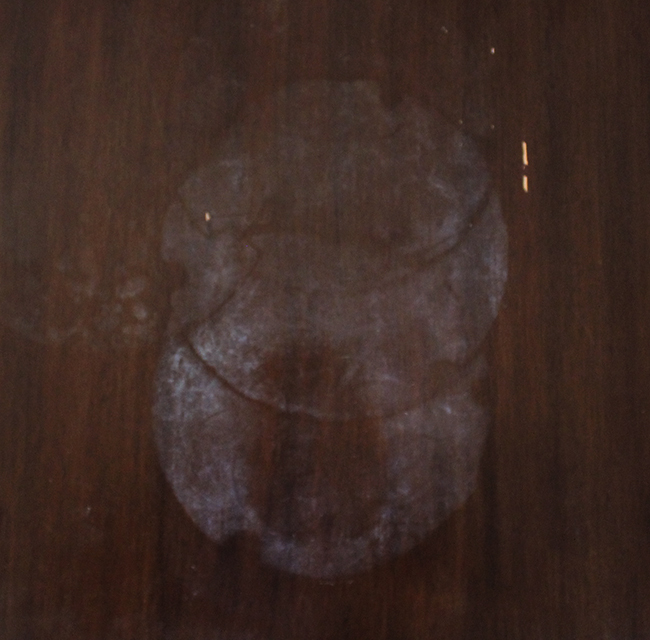 I repeated this process over and over for a few minutes until the stain was basically gone. Voila! 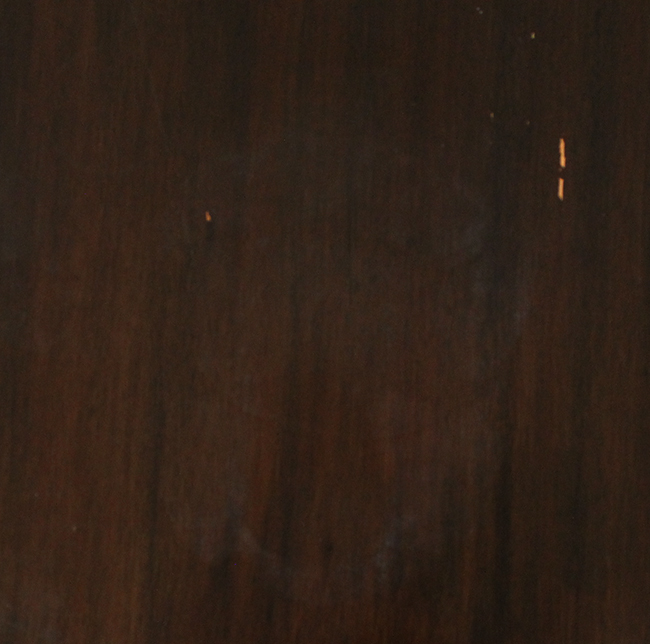 Removed water stains from wood – our table looks massively improved!